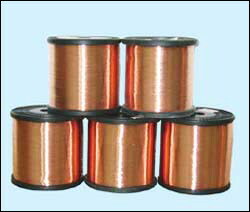 copper clad aluminum magnesium alloy wire(CCAM),etc. our latest partly catalogue on Metal Drawbench which may need with your demand ,if there isn't, please let us know your specific requirements, we can also produce according to your designated styles. Compared with copper clad aluminum wire, the copper clad aluminum magnesium alloy wire has series advantages of lighter weight, good damping capacity, excellent heat transmit, and good electric magnetic shielding capacity, and also it enhance the suppress-resistivity and spreading rate, making a great improvement in the product machinism and function. Compared with copper line, the weight ratio between copper clad aluminum magnesium alloy and pure copper wire is 1to 2.5. That is to say, with the same wire size and weight, its length is 2.5 times as the pure wire line, and it has the advantage of lower the cost and lighten the weight.